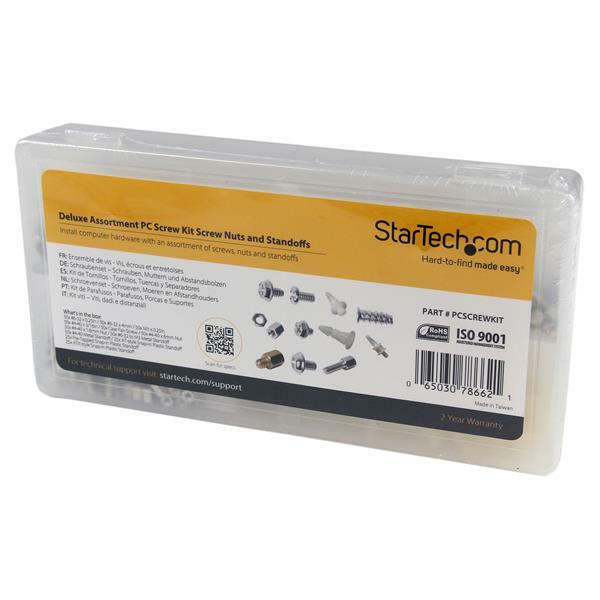 StarTech.com's PC Screw Kit offers a handy assortment of common PC fasteners for building, reparing, and maintaining computer systems. The PC screw kit includes 12 different fasteners all in a plastic carrying case with divided compartments. 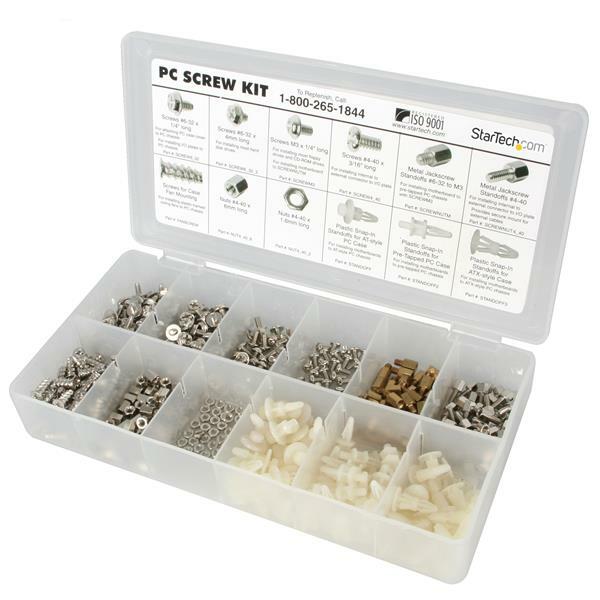 The PC screw kit offers 50 screws in each of 7 category types, for a total of 350 screws, as well as an assortment of standoffs.